The economic outlook in 2018 for the GCC countries is brightening despite oil prices, which have recovered since June, expected to trend sideways next year, said Swiss-based financial solutions company UBS. Further reforms are needed to diversify GCC members' economies and attract foreign investment, added the UBS Wealth Management's Chief Investment Office in Zurich, Switzerland. Globally, UBS foresees a changing context for portfolios in 2018. The year 2017 has been the strongest for the global economy since 2011, with growth likely rising to 3.8 per cent from 3.1 per cent in 2016. Next year, growth is likely to stabilize at 3.8 per cent, providing a benign backdrop for stocks. However, investors should be alert to emerging opportunities and risks resulting from monetary tightening, heavy political calendars, technological disruption, and environmental and social change. Mark Haefele, global chief investment officer at UBS Wealth Management, said: "Periods of high economic growth often sow the seeds of their demise. But there is little evidence today of an impending recession. Historically, recessions have been caused by one or more of: capacity constraints, oil price shocks, excessively tight monetary policy, contractions in government spending, or financial crises. None look likely to materialize in 2018. In this environment, we remain positive on equities relative to high-grade and government bonds." 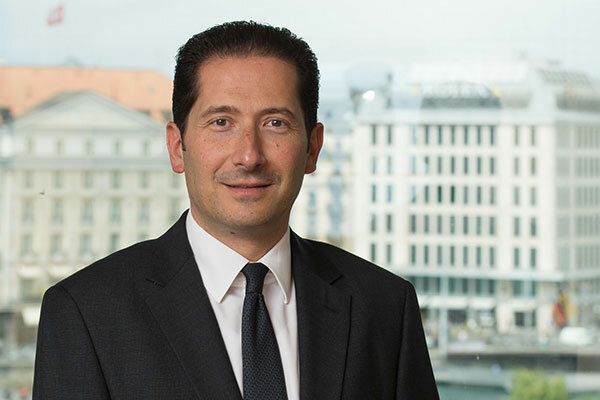 Ali Janoudi, head of Wealth Management Central and Eastern Europe, Middle East and Africa, France and Benelux International at UBS Wealth Management, said "GCC countries are still adjusting to the new economic reality of lower oil prices, despite the recent recovery. Ambitious reform plans across the region are balancing the need for a more broad-based, diversified economy with respect for local traditions. We think the progress achieved so far brightens the region's outlook and expect GDP growth to rebound to 2.3 per cent in 2018 from 0.6 per cent this year." Central banks will tighten monetary policy and in some cases raise interest rates in 2018. In certain areas, especially financial services, this will bring opportunities, except in the unlikely event of significant hikes, according to the latest UBS House View 2018. But amid rising rates, investors will also need to prepare for higher volatility, higher dispersion of returns from individual stocks, and in some cases higher correlations between equities and bonds. Conversely, this may benefit alternative and other active asset managers. Likewise, extreme financial outcomes, principally a Chinese debt crisis, are unlikely to materialize in 2018 but worth monitoring. Total bank assets in China are 310 per cent of GDP, nearly three times higher than the emerging market average. However, China's high growth rate, powerful state, and closed capital account make it less susceptible to debt crises. Our base case is for 6.4 per cent growth versus 6.8 per cent in 2017.